Malajube is proud to present their much-awaited new album: La caverne. Two years after Labyrinthes' release, this album takes us back in Le compte complet territories, the first Malajube album, with its pop inclinations and the urgency that flows throughout the tracks. The band showcased all their features: raw energy, hyperactive melodies, cavernous textures, creative structures, spontaneity and attention to details. In a ruthless world, Malajube do it their way, cloud the issue and present a surprisingly happy and driven with an urgency to live. From the Stone Age to the Plastic Age, between prehistoric times and show-bizness. A carefully chosen selection of borrowed pop elements to create a sonic drug. A retro-futuristic musical mixture, pleasantly irreverent and animal-like. The quartet (Thomas Augustin, Francis Mineau, Mathieu Cournoyer and Julien Mineau) took the writing, recording and production of La caverne's 10 titles in their own hands. Ryan Battistuzzi, their long-time collaborator, mixed the album. Recorded in Morin Heights, Quebec, in a "geodesic modern cavern, with multiple triangular faces", says the band. 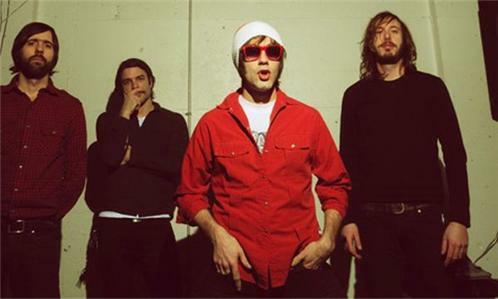 With the release of their debut record Le compte complet (2004), Malajube literally took over the indie rock scene, and have drawn a wide amount of praise with their second album Trompe-l'Oeil (2006), a masterpiece that found its way of springing out of the already artistically rich local music scene, with their unique and original sound. 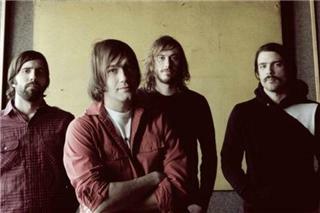 Labyrinthes (2009) confirmed that the band was one of the most prolific and talented bands from Montreal (Olivier Lalande, Nightlife Magazine, February 2009). Mark the date on your calendar, April 19 2011, Malajube releases La caverne, its long awaited fourth studio album. In addition of proudly winning five Felix awards over the years in their native province of Quebec, the latest for Alternative Album of the Year in 2009, Malajube was nominated twice for the Polaris Music Prize, Trompe-l'Oeil and Labyrinthes having made the short list. The band has toured relentlessly the country and abroad playing hundreds of shows in Canada, in Europe, in the United States and Japan, visiting festivals and events such as the SXSW, CMJ Music Marathon, Osheaga, Les Eurockennes and Les Francofolies de Montral, turning on industry heads and listeners alike. Regardless of the language barrier, Malajube's discography, especially Trompe-l'Oeil, pleased critics from all around; The New York Times, NME, Pitchfork, Brooklyn Vegan, Wired, Fader, Filter, Spin, Penthouse, Men's Health Journal, Vanity Fair and more, all praising Malajube's music in unison.